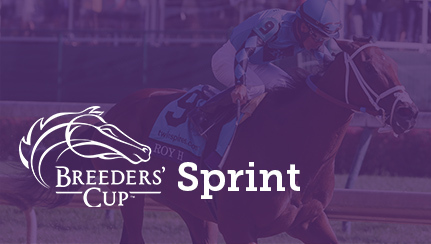 Xpressbet is your way to bet the Breeders' Cup! 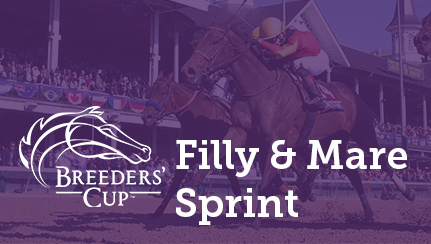 With live video, up-to-the-second odds and a FREE Wager Guide full of expert picks and analysis, you'll have everything you need to pick the winners and bet the races. 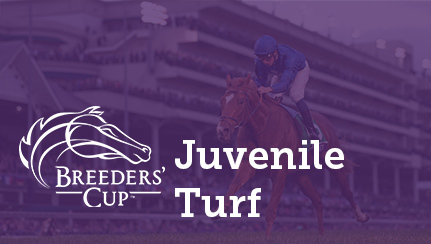 Ready to Bet? Sign Up and get a $500, $100 or $20 Bonus. Pick the offer that suits you. 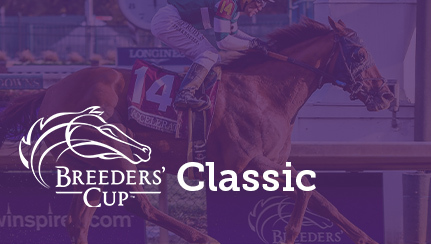 What is the Breeders’ Cup? 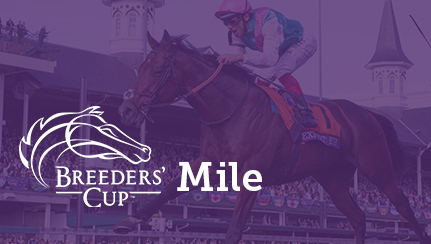 The Breeders’ Cup is a two day racing event showcasing the best horses from around the world. 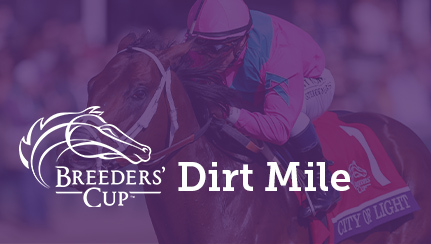 Where is the Breeders' Cup: The Breeders’ Cup rotates locations yearly, and in 2019 will be hosted by Santa Anita Park. 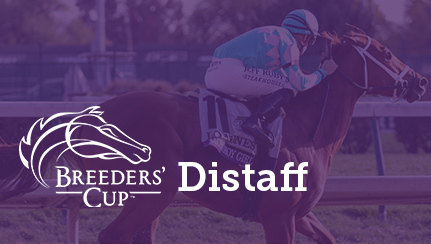 Where can I watch the Breeders' Cup? 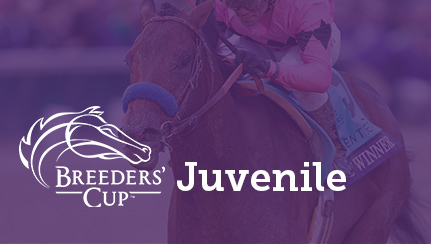 : Watch online at Xpressbet.com, or watch on NBCSN & NBC. 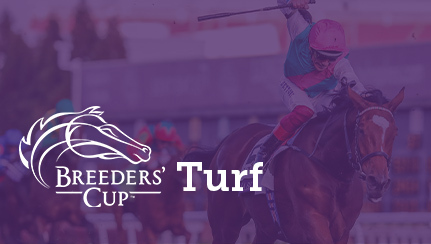 How can I bet the Breeders' Cup? 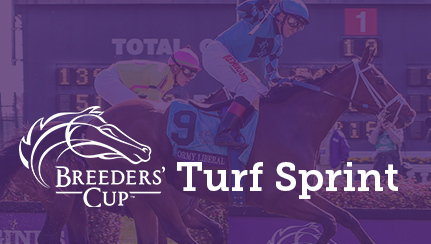 : Xpressbet offers legal wagering, live video and expert picks. 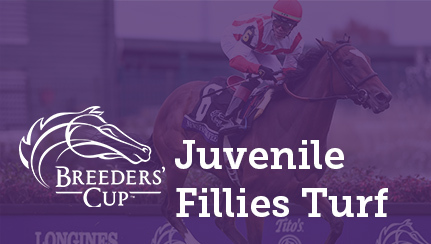 Join us this year for all Breeders' Cup races – Sign Up Now to Pick your Bonus and start betting today! 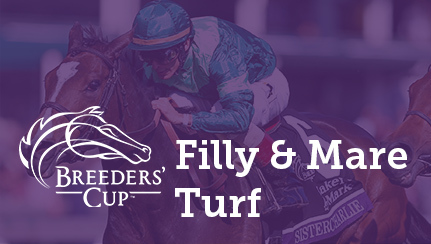 Filly & Mare Sprint Shamrock Rose Irad Ortiz Jr.
Juvenile Fillies Turf Newspaperofrecord (IRE) Irad Ortiz Jr.
Wagering credits are different from cash, and cannot be transferred, redeemed or withdrawn. 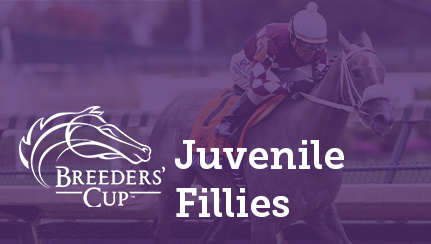 Customer has 30 days to use wagering credits. Unused wagering credits will be retracted after 30 days. 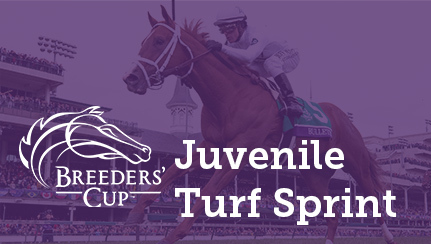 Must be 18 or older (21 in AL, AZ, IA, ID, KS, NH, ND, WA) to open an account with Xpressbet, LLC and reside in a state where such activity is legal. Void where prohibited. National Gambling Support Line 800.522.4700.